This is about Dorota as a fine artist. Born in Poland, Dorota Lopatynska de Slepowron has had a natural flair for art and creativity since her childhood. Even as a child, her sketches and acrylic paintings were very well received. When she was seven, she was awarded the best painting award at school. 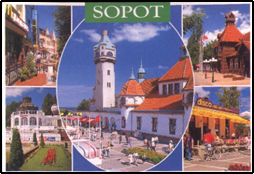 Then she attended art lessons at the prestigious Cultural Centre in picturesque Sopot where her talents were further developed under the careful guidance of well-known Polish painters and sculptors. Later her paintings received more awards from the Baltic Art Agency, her paintings were in various art galleries and exhibitions. Her paintings were alive with brilliant colours, in sharp contrast with the monotonous, colourless life in the communist era. She has travelled extensively gaining both experience and inspiration from places such as India, Sweden, Germany, Greece and other European countries. The essence of English seascapes and landscapes has captured her imagination during her travels to Brighton, Devon, Cornwall, Longleat and Stonehenge. In the mid-nineties, she moved to the UK where as a Desktop Publishing student, she was commissioned on a project called "Children's ABC Book" wherein she produced 30 stunning acrylic paintings. She draws her inspiration from mysticism, mythology and nature. She explores colours, their potentials and textures in her paintings and nature. Gustav Klimt and Pablo Picasso are her favourite artists. She has about 50 paintings in her collection today. They don't represent a realistic world, these are paintings on canvas of complete metaphors in which every colour and every element has its own meaning. Most of her artworks have decorated the drawing rooms of English homes. Her works were praised in press when she held her first public exhibition of her paintings at Southfields in London in 2003. In 2005, Polish Weekly, a London magazine, published an article on her, it is called "Colours of Dreams". Then another London magazine, Polish News, published a long article on her, entitled "Sunflowers". Both the articles paid tribute to her as a higly talented Fine Artist and published photos of her artworks. She won international recognition when the Polish National News website published an article on her. 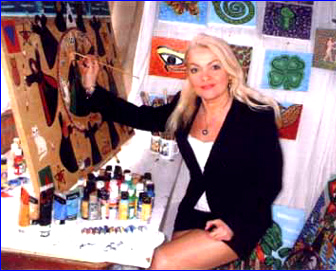 Dorota Lopatynska-de-Slepowron is a dedicated Fine Artist of natural talent with vision. Today she lives permanently in London and she spends hours on her artwork at her studio in North London. To her credit, she has studied various multi-disciplinary subjects in the UK and she has received IT Diplomas, Website design and maintenance Diploma, DeskTop Publishing Diplomas and Hatha Yoga Teacher Diploma with distinction. Now she is studying Arts and History at the Open University.